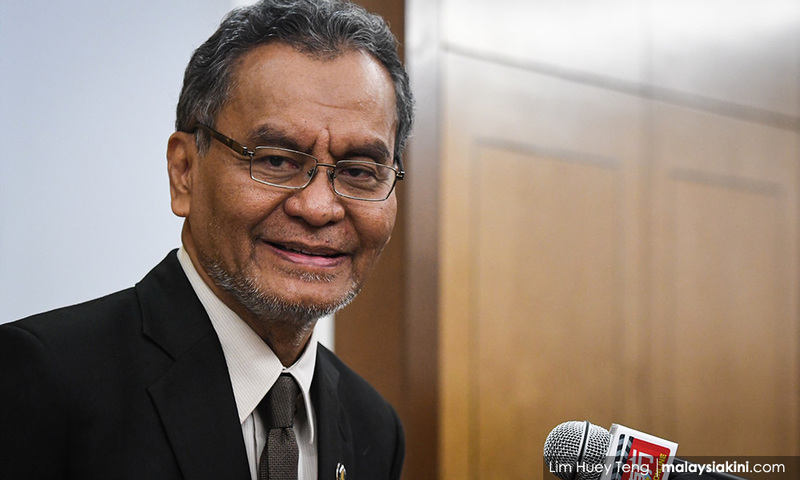 The Health Ministry (MoH) is ready to assist private hospitals to obtain accreditation as Baby Friendly Hospitals as an effort to promote and support breastfeeding practices in the country’s healthcare system, says its minister Dzulkefly Ahmad. He said only 19 out of 175 private hospitals were implementing the Baby Friendly Hospital initiative. “It is not difficult to be accredited as Baby Friendly Hospital. We, at the ministry, are willing to help. Private hospitals only need to comply with 10 steps to successful breastfeeding. “In addition, by sharing a private hospital’s successful experience will encourage more hospitals to implement the initiative,” he told reporters at a media conference after attending a dialogue session on the implementation of the Baby Friendly Hospital initiative at a private hospital in Putrajaya today. Also present were Health director-general Dr Noor Hisham Abdullah and Association of Private Hospitals Malaysia (APHM) president Dr Kuljit Singh. Among the 10 Steps to Successful Breastfeeding include discussing the importance and management of breastfeeding with pregnant women and their families; to facilitate them to initiate breastfeeding within half an hour after birth; to enable mothers and their infants to remain together and to practice rooming-in 24 hours a day. These steps are global standard to obtain accreditation as a Baby Friendly Hospital set by the World Health Organisation (Who) and the United Nations Children’s Fund (Unicef). Meanwhile, Dr Kuljit Singh said APHM aimed to triple the number of private hospitals to implement the Baby Friendly Hospital initiative by 2020. He said doctors and nurses in private hospitals needed to play a role by giving exposure to mothers on the benefits of breastfeeding as parents may think formula milk was an easy way out. “Currently, there are 19 private hospitals have implemented this initiative. Therefore, it is not a big problem for other private hospitals to implement it in the future,” he said. A total of 136 public hospitals that provide maternity services under MoH, Education Ministry and Defence Ministry have been accredited as Baby Friendly Hospitals.